Learn to chant down Babylon in harmony with Ani Williams from Songaia Sound Medicine. Every stimulus, including what we drink, affects the spiritual energy centers in our subtle body, called the Kundalini chakras. These chakras regulate the flow of energy for various functions. In this study we utilized the electrosomatographic scanning technique and conducted an experiment with 10 volunteers. In this video SSRF shares its findings on the spiritual effects of alcohol gained through this research, as well as through spiritual research. (NaturalNews) What is the mysterious energy technique called Reiki? 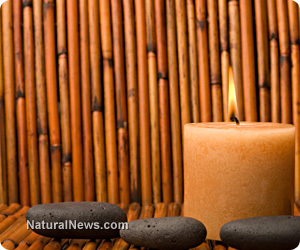 Oprah and Dr. Oz both have raved about the benefits of receiving a Reiki treatment. Reiki can accelerate the healing process of the body, mind and emotions. Reiki helps to release stress and creates balance. Maybe you just feel tired and rundown, but your blood counts all indicate that you are healthy, or, emotionally, you feel stuck in a rut, going nowhere. Reiki helps to restore the energy that supports your health and well-being, getting you up and moving forward again. Reiki originated in Japan in the early 1900s and was founded and taught by Dr. Makao Usui. It was brought to the United States in the 1930s by Mrs. Hawayo Takata, who gave Reiki treatments and began teaching Reiki in Hawaii from 1970 until her death in 1980. Reiki is a technique where the practitioner facilitates the flow of universal healing energy into the client’s energetic field. In the Western world of medicine, patients are looked at and treated from a biological and chemical perspective as having body parts, organs, skin and bones along with blood, hormones etc. The Eastern model of medicine includes treating the biological, chemical, emotional, mental and energetic components of each person. They know that each person’s physical, emotional, and mental components are impacted by their flow of “chi” or energy throughout their body. When the chi is low, disease and illness form. Our chi is impacted by our habits, exercise, nutrition and self-care. If we think negatively, eat poorly, worry, smoke, overwork, over extend, drink excessively or do not exercise, our chi is diminished. When chi flows freely throughout the body, the person has radiant health. The Reiki practitioner sends chi into the client’s body where it is needed. This chi removes energy blocks, restores the energy pathways, returns energy levels to normal and reestablishes the body’s natural capacity to heal itself. That is exactly why we have all these organs and body parts to maintain health. Reiki is a natural way to create and restore health and well-being. It helps the body to recover from surgery, lowers pain levels, reduces stress, supports the immune system, aids better sleep, increases energy levels, accelerates the body’s self-healing capacity and assists with emotional healing and spiritual growth. Reiki’s popularity continues to grow as more and more practitioners take Reiki into medical centers and hospitals, helping patients to heal more quickly. Statistics show that, as of 2007, 800 hospitals in the United States were using Reiki, and this number is growing quickly. Many cancer centers have Reiki practitioners offering relief to their patients undergoing therapy. According to the 2007 National Health Interview Survey, which included a comprehensive survey on the use of complementary health approaches by Americans, more than 1.2 million adults had used an energy healing therapy, such as Reiki, in the previous year, as have over 161,000 children. The National Institutes of Health note that research using Reiki for conditions such as pain, cancer, depression and over all well-being indicate that Reiki may help with symptoms of these conditions. Reiki is a pain-free approach to incorporate into a wellness plan of action for any condition. It brings our body and emotions back into balance. When we are in balance, our body can heal and you begin making healthy choices that support a life filled with radiant energy. A life anyone can look forward to living. Miles P., True G. Reiki – review of a biofield therapy history, theory, practice, and research. Everything in the Universe is just a vibration. Every atom, every part of an atom, every electron, every elementary “particle”, even our thoughts and consciousness are just vibrations. We may define the Aura as a vibration surrounding every material object. This definition is sufficient for the purpose of reading Auras, providing that we can train ourselves to see Aura vibration. The colors and intensity of the aura, especially around and above the head, have very special meanings. When watching someone’s aura, you can actually see the other person’s thoughts before you hear them expressed verbally. If they do not agree with what this person is saying, you effectively see a lie every time. No one can lie in front of you undetected. We cannot fake the aura. It shows our True Nature and intentions for everyone to see. Also, the aura is our spiritual signature. When you see a person with a bright, clean aura, you can be sure that such person is good and spiritually advanced, even if he/she is modest and not aware of it. When you see a person with a gray or dark aura, you may be sure, that such person has unclear intentions, regardless how impressive, eloquent, educated, “good looking” or “well dressed” he/she seems to appear. It is important to check the aura of any religious leader, “spiritual teacher”, “master” or a “guru.”  Such a person should have a clearly defined yellow-golden halo around the head. If he/she does not have it, you are much better on your own. Joining a sect or a religion that is led by incompetent people without good Auras is very dangerous for your consciousness. Where is the danger? When the time comes to really use the information stored in your consciousness from this lifetime, there may be almost nothing useful there, if you focus your life on following rituals and the flock of other people. In such case it is necessary to re-learn everything from the beginning. Most sect, religion and political leaders have only two things in mind: money and power to control people. And you can see it in their aura for yourself. Imagine changes on. If people can see auras of their leaders, then they can start choosing them on the basis of their auras. Reading auras enable you can diagnose malfunctions in the body (diseases) long before physical symptoms become evident. By consciously controlling your Aura you can actually heal yourself. However, healing of the physical body is nothing in comparison to what seeing and reading auras can do for our consciousness, spiritual development. Everyone has an Aura. But most people on Earth have very weak and dull Auras. This is a direct consequence of their lifelong materialistic attitude negating and suppressing the development of consciousness. The aura is a reflection of our true nature at any given moment. At this point it is perhaps necessary to explain what I mean by “true nature” and why some effort is necessary to “discover” it. Our society emphasizes symbols, stereotypes, habits, manners, superficial behavior, pretending, following others and submitting free will to “leaders”. Our “education” is largely based on views and expectations of people who try to control the flock. Our true nature is what is left when we recognize and discard all our habits, stereotypes, manners, and pretending, superficial behavior and become fully conscious, truly natural and spontaneous. Note that some people are so attached to their manners and habits that it is very hard, if not impossible, to discover who they really are. The only way to get an instant insight into their personality is to watch their Aura, because it shows their true nature, behind any facade of superficial behavior. In general, the more colorful, cleaner and brighter the Aura, the better and more spiritually advanced is the person. Also, the more uniform the energy distribution in the Aura, the healthier and more balanced the person is. Distribution of the energy in the Aura can serve as a powerful medical diagnostic tool, but usually requires using complex equipment. The scope of this article is to concentrate on what we can easily see with our eyes. Our Aura surrounds the entire body, but the interpretation of colors below relates to the Aura around the head only. Meaning of colors around the head presented below suggested in the literature has been confirmed. When you learn to see Aura well, you can verify it for yourself, by concentrating on certain thoughts while watching your Aura, or telling people what their thoughts are when you see their Auras.Usually, people have one or two dominating colors (strong points) in their Aura. These colors (or their Auric pairs) will be most likely their favourite colors.In addition to dominant colors, the Aura reflects thoughts, feelings and desires, which appear like “flashes”, “clouds” or “flames”, usually further away from the head. For example a flash of orange in the Aura indicates a thought or desire to exercise power and control. Orange as a dominant color is a sign of power and general ability to control people. Quickly changing “flashes” indicate quickly changing thoughts. Pranic healing. Vaidic Vaastu takes this technique of energy scanning a step forward by offering Pranic healing for aura and chakra cleansing. Pranic healing is a simple yet powerful and effective no-touch energy healing. It is based on the principle that the body is a “self-repairing” entity that possesses the innate ability to heal itself. Diseases first appear as energetic disruptions in the energy field before manifesting as ailments in the physical body. When pranic healing is applied, the bioplasmic body absorbs life energy and distributes it to the organs and glands, thereby healing process. The aura can also be improved with world recognized healing modality known as Reiki. This ancient therapy is based on the belief that thoughts have the power to direct energy—the underlying dynamo shaping the world. It can be used for the treatment of physical, emotional, and mental diseases. The Practitioners in Japan use similar technique, which they say will “channel healing energy.” The state of energy flows through their palms to bring about healing. This method can also be used for self-treatment as well as treatment of others. 7. Seventh chakra-above the crown of our head. These energy meridians, or acupuncture meridians, create energy where the points along the way are acupuncture points. Intentionally stimulating these points on the surface of the skin .It enhances the energy flow throughout the meridian. And this in turn enhances your overall wellbeing. The human aura contains the energies of both the chakras and the meridians. And all of our energy systems are influenced by your thoughts and feeling. Meditation redirects your mind’s focus. It helps you to perceive more subtle information beyond the repetitive thoughts the mind wants to run. Like daydreaming, but you choose the focus . Giving yourself opportunities to slow down and pay greater attention to your body and what it is telling you is also important. Our body, made of intelligent energy, always has lots to tell you. So this could include asking yourself what our body needs throughout the day – food, drink, movement, pleasure, rest? Your answers may come in many ways – through gut feelings, a mental image, an inner voice, a physical energetic sensation, or in other ways unique to you. To receive more specific information about our body, you might also want to try doing a body scan. In a body scan meditation, you close your eyes and systematically focus on each part of your body. You simultaneously tune in to your intuition and notice what information you get, in whatever way your intuition “speaks” to you. Sensations in your body are related to what is happening in your human aura and other energy systems. It’s all about energy and focus. E=MC2 – Albert Einstein. In this famous formula, Albert Einstein demonstrates that all matter is congealed energy. That would include everyone’s bodies, the objects we live with, our planet and all of its creatures and forms, and celestial bodies beyond Earth. Actually, everything, including matter as per Einstein, is made up of energy. So our bodies are made up of energy, and this energy is continuous with the energy of our human aura. Beyond our human aura, the “space” and all other matter is also energy. So as you reach “out” with your skilled, clear intuitive awareness, you are able to receive and perceive energetic information about whatever you purely place your focus and intention upon. With vibrational energy healing, practitioners use their intuitive energy awareness to also encourage energy balance in their clients. Balanced energy flows and resonates with well-being. Unbalanced energy leads to disease. Quantum physics calls the continuous, intelligent sea of energy the “unified field”. Consciously accessing this field is a means to connect intuitively with everything-when you can open yourself fully to the experience. When you listen to your intuition about what you need to do to feel good, it’s about balancing your energy systems. When you then take that inspired action, you are allowing your natural well-being. I have come up with a list of ways you can help balance your energy systems overall, including your human aura, chakras, and meridians. The thing is, for your full empowerment, it is important to check in with your intuition first. Follow your guidance about what would help you feel even better than you feel now. Allow your way toward feeling better, better, and the best you can possibly feel in each moment. Here is a list to run by your intuition-exercise with deep breathing, being in nature, receiving bodywork ,yummy-smelling aromatherapy, chanting or singing where you don’t feel self-conscious, petting and caring for animal friends, playing musical instruments or crystal singing bowls, dancing or other fun movement where you don’t, again, feel self-conscious ,using your intuition to choose everything you take into your body, including food, drinks, supplements, etc., remaining truly happy as much as possible through your choice of thoughts and feelings, giving and receiving lots of hugs every day,imagining what you really want as if it is already real, regularly meditating or doing some meditative activity you enjoy, like gardening, drawing or painting, maintaining healthy, loving relationships. Modern science tells us that the human organism is not just a physical structure made of molecules; but like everything else, is composed of energy field. We are constantly changing, ebbing, and flowing, just like the sea. Scientists are learning to measure these subtle changes. The human energy field is the frontier for modern research, and the development of new diagnostic and treatment systems. We are constantly swimming in a vast sea of life energy fields, thought fields, and bioplasmic forms, moving about and streaming off the body. We are vibrating; radiating bioplasma itself. People have recognized this phenomenon in the past. Now we are rediscovering it. This is thus not a new phenomenon; but rather, a new observation, a growing awareness, a new perspective, and a renewed interest in studying the intricacies of the unknown. Your Aura & Your Chakras: The Owner’s Manual by Karla Mclaren (Motilal Banarsidass Publ., Jan 1, 2000) is a clear and comprehensive text for the restoration and maintenance of your subtle energy system. Eric Robison author of Bending God: A Memoir http://www.bendinggod.com, walks you through how to see energy in the air. Did you know that EVERYTHING has an aura? People, trees, chairs… Don’t believe me? See for yourself. With this simple technique, Eric Robison author of Bending God: A Memoir http://www.bendinggod.com, walks you through how to see an aura in only five minutes. A few years ago, I would have easily answered ‘Yes, it’s all demonic!’, but now it is becoming apparent to me that some of the things we have been told are evil are really not evil, whereas some of the things we have trusted to be good are not really good. What is going on, when your pastor tells you DMT is witchcraft, and then tells you you are being a good Christian by following your doctor’s advice and taking pills and vaccines that are made using witchcraft and human sacrifice? At the very least, your pastor has no idea what’s really going on here.